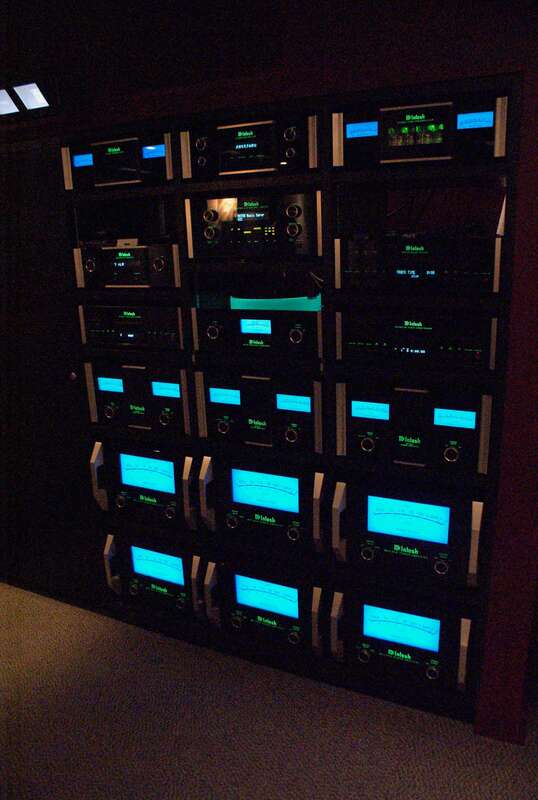 Since 1949, McIntosh has made among the world’s best audio and video equipment. They carefully build every piece by hand at their factory in Binghamton, New York. While other companies outsource their manufacturing, Mac continues to employ Americans to ensure their products meet high standards of quality. 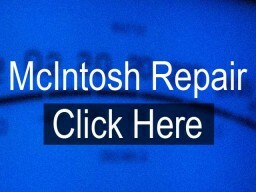 The name “McIntosh” evokes images of black glass with green lettering, blue VU meters, and smooth steel. They offer unparalleled sound and picture quality, extreme durability, and patented innovation unlike any other brand. 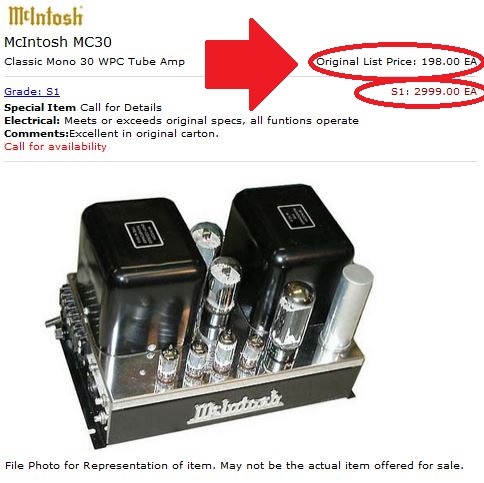 McIntosh sold the MC30 mono 30 watt tube amplifier for $198 in 1960 which is $1,590.72 in 2015 dollars. In 2015, a used MC30 sells for $2,999. This McIntosh amplifier appreciated in value by 88.5% while it was used and loved by its owner! Few if any other electronics manufacturers’ sell for more than the original price like McIntosh does. The McIntosh MC30: Original price in 1960 – $198. Used price in 2015 – $2999. 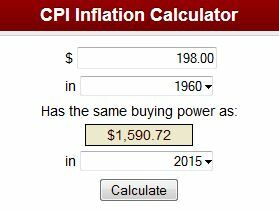 $198 in 1960 is worth $1,590.72 in 2015. Source. Any McIntosh piece you buy will naturally look good in systems with other McIntosh of any age. They still use the signature black glass front panel, knobs, illuminated logo, and brushed-aluminum end caps on every piece of equipment they make. Over 75% of McIntosh ever made still works to this day. They have invented and patented technology which automatically gives any speaker the right power, prevents clipping, eliminates distortion and noise, and accurately displays power usage, just to list a few. 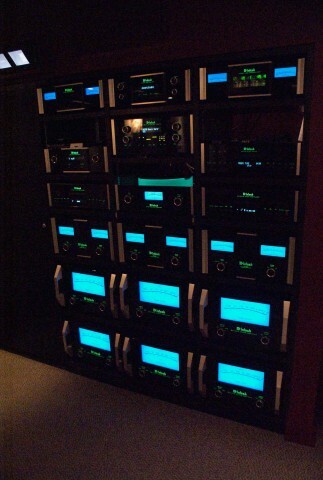 Stereo Barn has sold McIntosh since 1992 and we continue to sell it because it gives our customers an experience worth more than what they paid. See the full list of brands here that we sell at Stereo Barn. Stereo Barn proudly supports the Reading Symphony Orchestra. © 2019 Stereo Barn. All Rights Reserved.